The semi-rested Hornets kick off another short road trip this evening as they battle the Atlanta Hawks for the final time this season beginning at 7:30 p.m. ET. So far, the home side is a perfect 3-0 in the head-to-head series between these two Southeast Division teams. Charlotte won both its home meetings by an average of 12.5 points and dropped a 124-123 nail biter in Atlanta on Nov. 25. The Hawks shot 53.2 percent and 41.0 percent from the field and three, respectively, in this game, while dominating the Hornets in paint scoring as well (58-28). 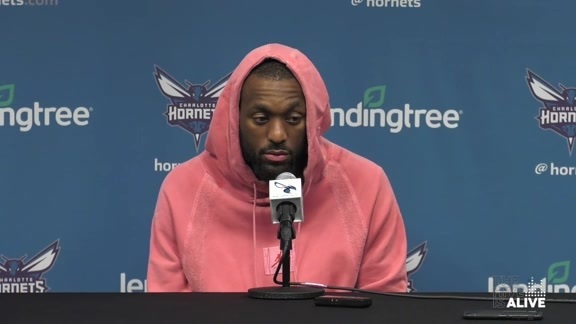 Kemba Walker has been absolutely marvelous as of late and the Hornets would love to see more of the same in this one. Over his last three outings, the reigning three-time All-Star is putting up an outstanding 33.0 PPG on 45.6% FG (4.3 3PM on 43.3% 3P), 7.3 RPG, 8.3 APG, 2.0 SPG and maybe most impressively, just 1.3 TPG over 37.3 MPG. On the other side, the Hawks have gotten some strong play from their own starting point guard as well in rookie Trae Young. Last summer’s third overall pick out of Oklahoma averaged 15.6 PPG on 39.6% FG (27.5% from 3P) in 36 games from the start of the season until Dec. 31, but since then, those numbers have risen to 19.2 PPG on 43.2% FG (35.1% from 3P) over 18 outings. Young’s efficiency is certainly improving and he remains a dynamic facilitator, but defense and turnovers are still a concern for the young guard (his 213 giveaways are 2nd most in the NBA). 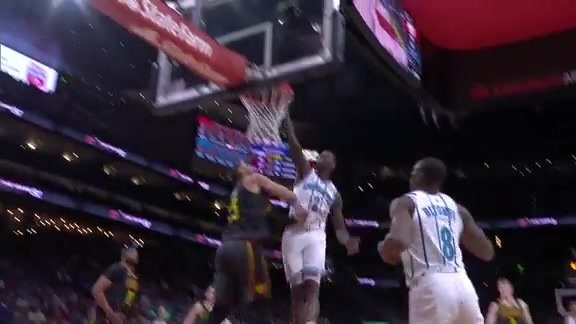 Forcing the 20-year-old into tough situations, while taking advantage of his defensive shortcomings should be the Hornets’ goal as they look to notch a win in their season-series finale with Atlanta. Game Note – The Hornets have scored 120+ points in each of their last three regular season road games in Atlanta (2-1)… Malik Monk had career highs in points (26) and three-pointers (7) back on Nov. 25 in Atlanta… The Hawks have dropped four of their last five home games (8-14 at home this season). Classic Fact – Charlotte’s first-ever win against the Hawks came exactly 30 years ago today (Feb. 9, 1989). Robert Reid scored a game-high 28 points for the Hornets as they knocked off Atlanta at home, 110-108.